That ethics has no place in the hard sciences. I plan to refute these assumptions one-by-one in the hopes of improving the substance of discussions into the pros and cons of technological advance. I will do this with a little help from my friends (namely, John Steinbeck and Kurt Vonnegut). Let’s start with the first assumption: the idea that “a rising tide lifts all boats,” or that the total amount of a resource is the main factor in determining the distribution of the resource. Shanahan’s prediction rests on the assumption that total abundance is the most important factor in determining the distribution of food — ignoring political and economic factors. Steinbeck eloquently highlights a painful truth — that our technological improvements do not always lead to improvements in wellbeing for the masses. The economics of farming at the time meant that farmers could not afford to pay laborers to pick the fruit — the market price of the fruit was less than the cost of picking the fruit. Giving fruit away for free to starving migrant workers would further decrease the market value of the fruit. So the farmers burn the fruit and the migrant workers starve. Here, economics — rather than total abundance — determines distribution. In Development as Freedom, Amartya Sen provides an example of politics influencing distribution. During the Irish Potato Famine (in which one million people died and another million emigrated), Ireland exported more food to England than it imported. The political distance between ruler and ruled turned this food shortage into a famine — poor Irish Catholics did not have the ability to sway the British parliament. Another example of the politics of famine can be found in India. After a long history of famines under colonial rule, not a single one of the massive regional food shortages in India since independence has led to famine. 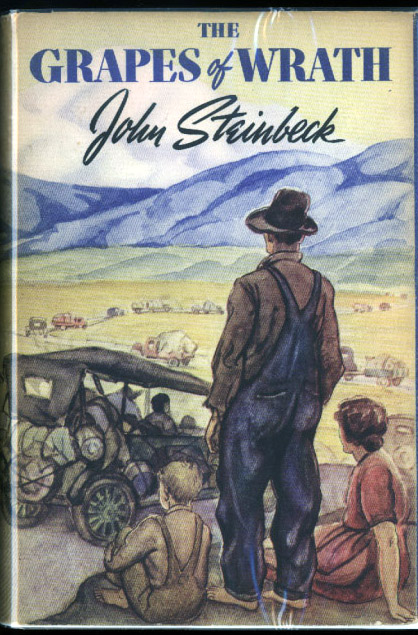 Steinbeck and Sen have shown us that discussions of the distribution of goods cannot focus on total abundance of goods and ignore political and economic forces. Debunking this type of assumption is not just an interesting argument for historians — it is hugely important to learn from history as we speed toward a future in which much of our population will be unemployed and the strength of our democratic processes will directly impact the wellbeing of the masses. This leads me to my first rule for discussing the benefits of technological advance: Don’t focus solely on total abundance in discussions of distribution of goods. Instead, recognize the importance of political and economic forces in determining distribution. Check out part 2 of this series for the next assumption attack.